Following on from the massively popular WordPress 3.5 – over 20 million downloads – version 3.6 is now live. This release has been called “Oscar” in honor of the great jazz pianist Oscar Peterson. Here’s a bit more about some of the new features and talk you through what you need to know about them. The new Twenty Thirteen theme inspired by modern art puts focus on your content with a colorful, single-column design made for media-rich blogging. The new theme is fully responsive, making the content match any device screen size you are reading it on. Twenty Thirteen has a really clean and flat design, with beautiful typography, a single column layout with sidebar/footer widget area, embracing CSS3 and HTML5 best practice. It uses bold colours (with a ‘70’s feel) to enhance the post content type, and the sharp icons will scale to any resolution and can be re-coloured via CSS using web font. Revamped Revisions is the most impressive new feature, it offers a better way to visualise multiple versions of your posts. It will save every change and the new interface allows you to scroll easily through changes to see line-by-line who changed what and when. 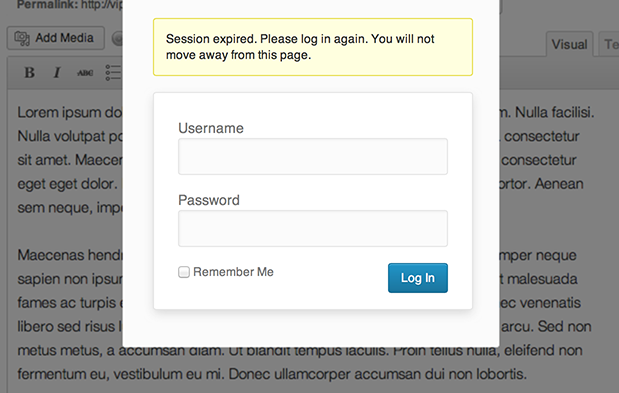 Login expiry improvement means that if you step away from the page and your user’s login session has expired, a new login notification system will ask the user to login without leaving the page they were working on. Post Locking and will especially be a boon to sites where more than a single author is working on a post, it makes sure that if there are two users, they cannot both edit the same post simultaneously by kicking one of them out. With Autosave each author now has their own autosave stream, which stores things locally as well as on the server (so much harder to lose something), this is to prevent any loss of data while editing or writing a post.In situations where users could lose their internet connection, accidentally close a browser tab or browser entirely, posts are now saved automatically in your web browser storage in addition to saving to the server. If your login session expires, a message will pop up linking to restore a backup of your last auto saved content, as shown in the image below. Built-in HTML5 media player for native audio and video embeds without relying on a plugin or a third party media hosting service like YouTube or Vimeo. The new native audio and video players are in pure HTML5 tags using the library MediaElement.js to get the maximum file support and cross-browser compatibility. Embed Music from Spotify, Rdio, and SoundCloud It’s as simple as pasting a URL into a post on its own line. The Menu Editor is now much easier to understand and use. The ’Edit Menus‘ and ’Manage Locations‘ options are split into two tabs, and the menus have been simplified with an accordion-based user interface (UI).